Lectures on the indicated days, 12:15–13:45 in SR E.31/A7, Arnimallee 7; exercises on the same day, 14:15–15:45 in SR 007/008, Arnimallee 6. See also the entries on the Course Catalogue here and here. 29 Oct. 2015 Convex, linear, and quadratic optimization. Exercise Sheet 3 Proof of Theorem 4.19(d) has been corrected in the notes. 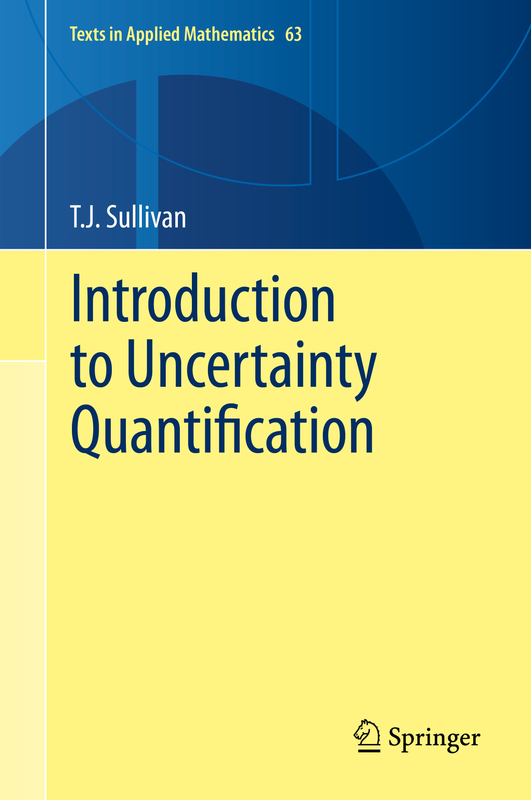 5 Nov. 2015 Information theory and distances between probability measures. Exercise Sheet 4 N.B. Extended deadline for solutions. 12 Nov. 2015 Information theory, continued. Bayesian inverse problems. (None) Wrong factor of 2 in statement of Pinsker&apos;s inequality has been corrected in the notes; proof remains correct. 10 Dec. 2015 Orthogonal polynomials, continued. 17 Dec. 2015 Numerical integration. 7 Jan. 2016 Spectral expansions: the Karhunen–Loève theorem. 14 Jan. 2016 Wiener–Hermite and generalised polynomial chaos expansions. Intrusive (stochastic Galerkin) methods. 21 Jan. 2016 Intrusive (stochastic Galerkin) methods, continued. 28 Jan. 2016 Non-intrusive spectral projection methods. 4 Feb. 2016 Non-intrusive stochastic collocation methods. 11 Feb. 2016 Gaussian process interpolation and regression.